At least half of American voters think President Donald Trump should resign from office over at least 22 accusations of sexual misconduct, according to recent polling. 66% of voters believe that the president doesn’t respect women as much as he respects men. While some Democratic leaders have called on Trump to resign, others are resisting so far. At least half of American voters think President Donald Trump should resign from office over the more than 20 accusations of sexual misconduct against him, according to multiple recent polls. A recent Quinnipiac poll found that 50% of registered voters – 59% of women and 41% of men – think the president should resign. But the respondents were divided along party lines – 85% of Democrats called for the president’s resignation, compared with just 7% of Republicans. Just over half – 52% – of independent voters said they think Trump should leave office. But the vast majority of voters – 66% to 30% – believe Trump doesn’t respect women as much as he respects men. A recent Rasmussen Reports survey found that 58% of likely voters believe the allegations against the president, while 28% don’t believe them and 14% are undecided. 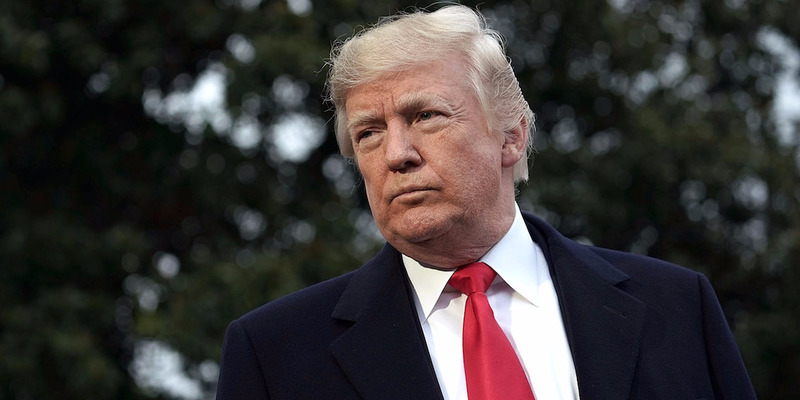 A mid-December Public Policy Polling survey found that 53% of voters believe the allegations against Trump, and the same percentage say the president should resign. Yet another December poll, conducted by Politico and Morning Consult, found that 50% of voters believe the allegations against Trump are credible, while 29% don’t think they’re credible, and 21% have no opinion. Several Democratic lawmakers have called on Trump to resign over the accusations in recent weeks. Sen. Kirsten Gillibrand, who led the charge in calling on Democratic Sen. Al Franken to resign amid sexual misconduct accusations earlier this month, said Trump should “immediately resign” and Congress should begin an investigation into the allegations against him. More than 100 House Democrats signed a letter calling for a congressional investigation into the allegations against Trump. “Women aren’t going to be silenced right now,” Gillibrand said, after Trump personally attacked her in a tweet. But other Democratic party leaders are opposed to the call. Senator-elect Doug Jones, who won the Alabama special election earlier this month in a stunning upset over Republican Roy Moore, also an alleged sexual predator, said that Democrats should “move on” from the allegations against Trump, arguing that the issue was put to rest when Trump was elected. “[T]hose allegations were made before the election, and so people had an opportunity to judge before that election,”Jones told CNN on Sunday, adding that Democrats shouldn’t fight with the president more than is necessary. Meanwhile, some Democrats are calling on Franken to stay on in the Senate even after he announced he would resign amid mounting allegations of sexual misconduct. They are pressing for an ethics investigation into the allegations. The Quinnipiac poll was conducted between December 13 and 18 among 1,230 voters and had a margin of error of plus or minus 3.3 percentage points. The Rasmussen Reports poll surveyed 1,000 likely voters between December 12 and 13 and had a margin of error of plus or minus three percentage points. Public Policy Polling surveyed 862 registered voters between December 11 and 12 and has a margin of error of plus or minus 3 percentage points. And the Politico/Morning Consult poll surveyed 1,955 registered voters between December 8 and 11 and has a margin of error of plus or minus 2 percentage points.